When Peter Stoddard and Ally Lopez say they have a full house, they seriously mean it. 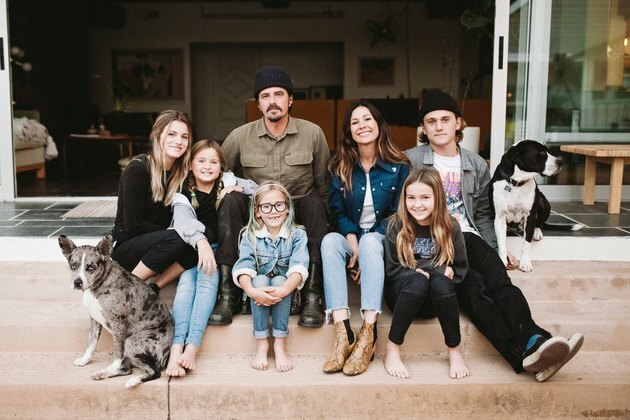 With five children, ranging in ages from 7 to 18, they've got seven people living under one roof (eight, if you count the dog). So when searching for a home for their family, they needed the space. 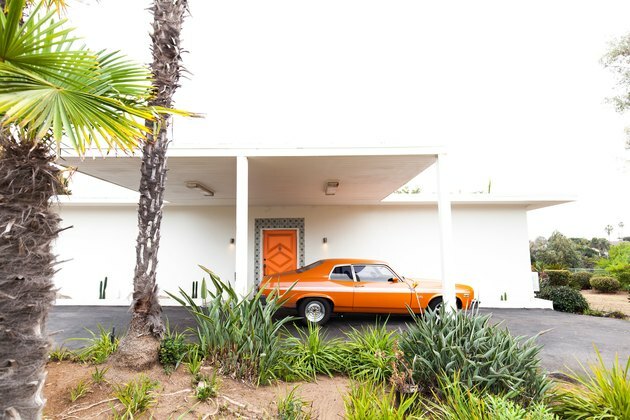 The house they landed on, a 1940s post-and-beam in Oceanside, California, is pleasantly deceptive with an unassuming facade that opens up into something closer to a compound. 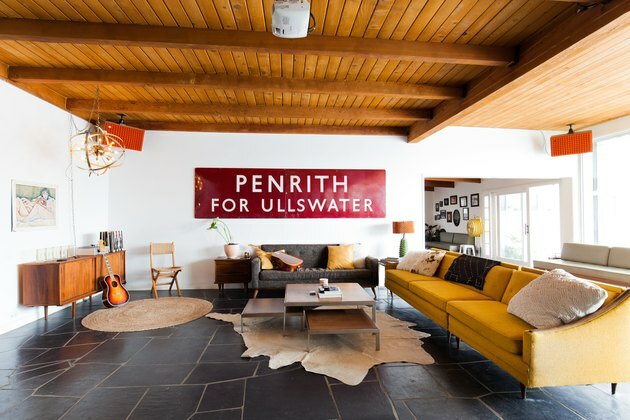 While their spacious residence is ostensibly a family home, the design is more "cool mom," and reflective of Peter and Ally's creative lives: Ally is co-owner of Band of Martians, a fashion showroom, and Peter is the design director at Brixton, a contemporary apparel line. They're also working on a line of children's clothing together. 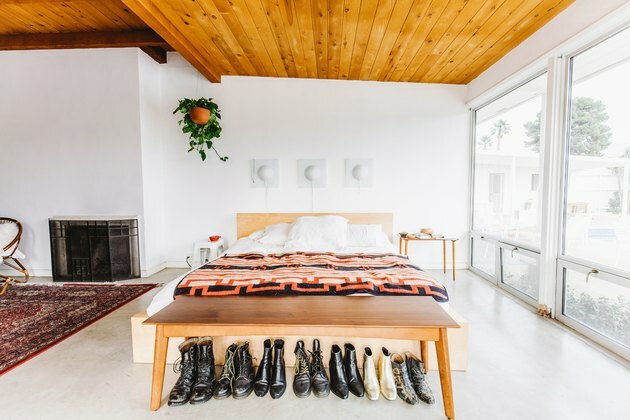 The house is an eclectic mix of industrial finishings, midcentury furniture, and desert-chic decor. 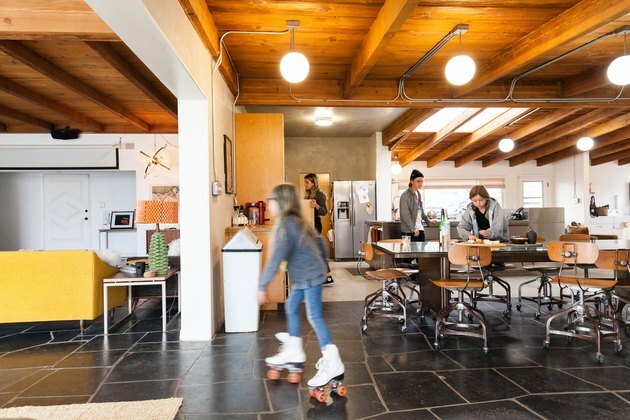 But most importantly, it offers up something for everyone: There's a pool in the back for the kids, a converted garage serves as Peter's motorcycle workshop, and Ally makes use of a poolside studio as an office space. The home expertly mixes new with vintage. 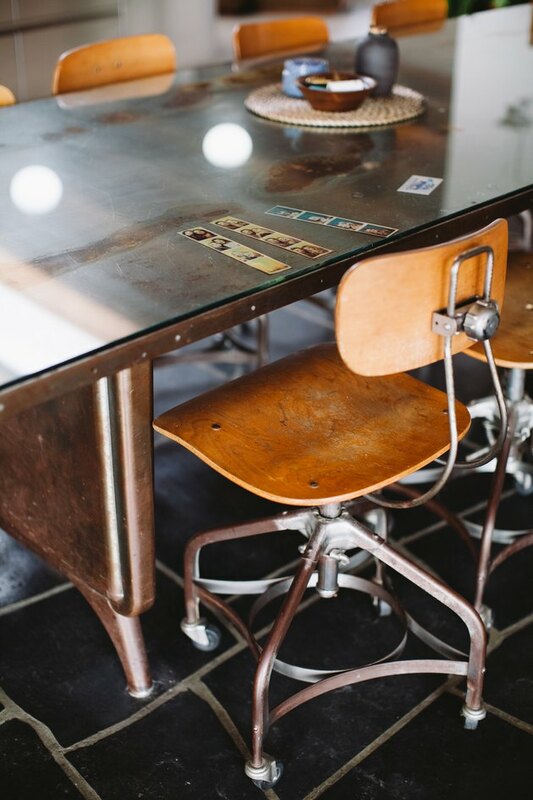 Ally's especially drawn to midcentury furniture for its history and clean lines. "I am big on balance, so I like corners and lines to be balanced with [something like] a round coffee table or a warm rug or a plant." 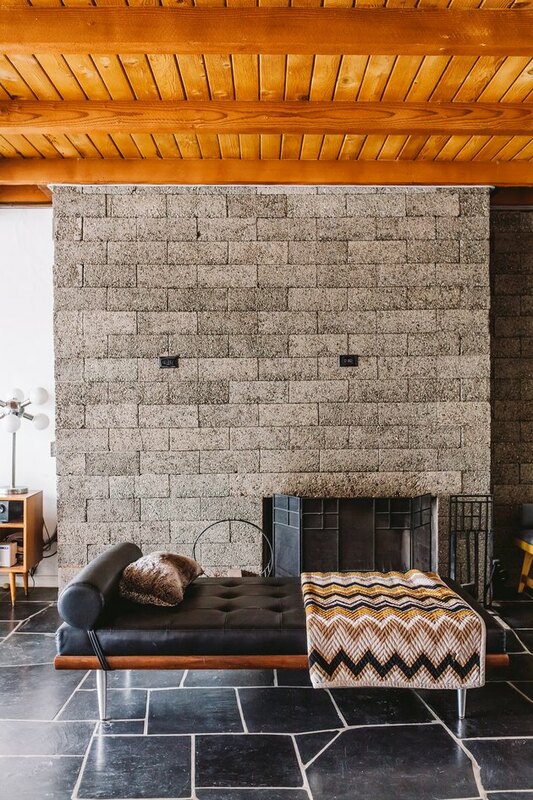 Mixing of materials is a big theme — in the living room, there's a fireplace made of concrete blocks, exposed wood beams, and smooth stone flooring. The couple's bedroom is on the opposite side of the house. Ally describes it as their "little retreat." 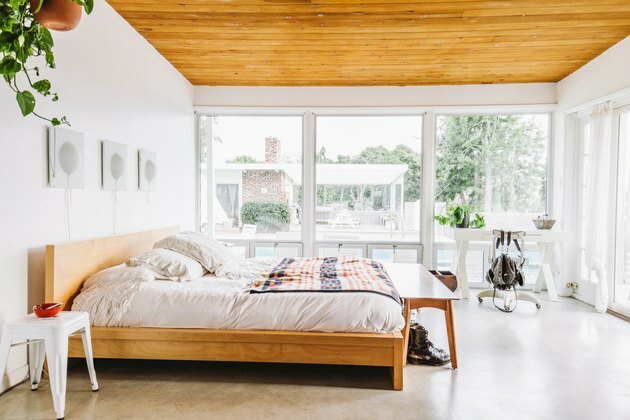 The master bedroom has a midcentury-minimalist vibe. 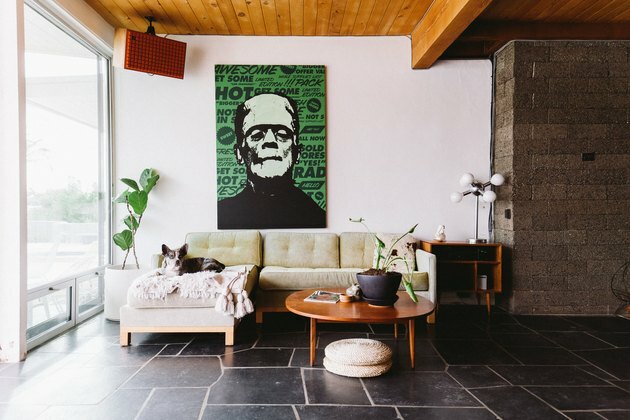 On sourcing the home's furnishings and finding its style: "Most of the pieces are from vintage stores or vintage flea markets. We have been in the house for a few years and only in the last year did it really start feeling like home. It takes me a while to really decorate. I think some pieces you can go out and buy right away, but others you have to just organically collect and stumble upon, so it takes time to really get a space to be how I want it." 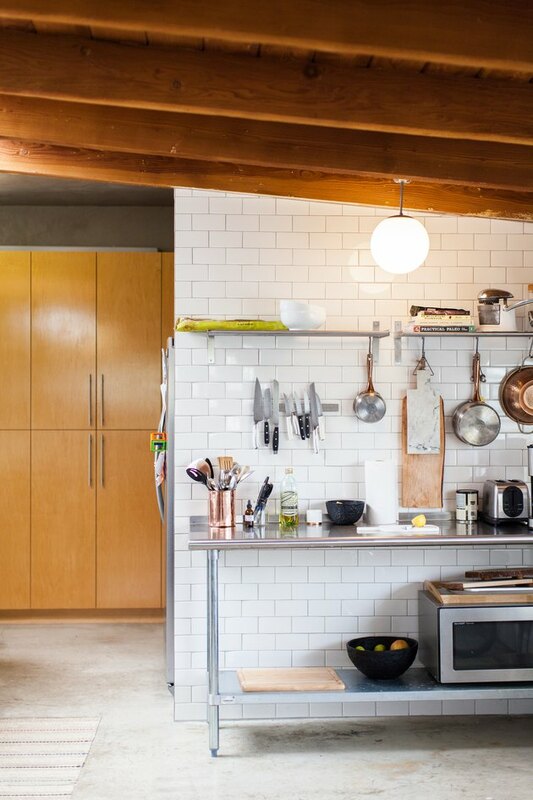 The kitchen was a focus of the renovation, and the couple opted to cover an entire wall in subway tile. Ally's office, right off the pool, offers a space for her to display clothing and accessories. 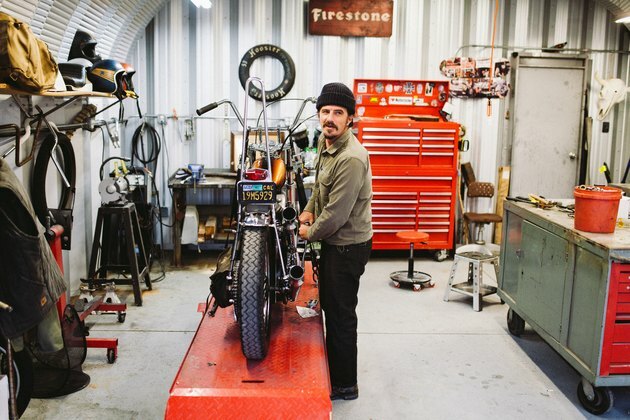 In the back, a converted garage serves as a space for Peter to work on one of his passions: motorcycles. "We both are in love with this location," says Ally. 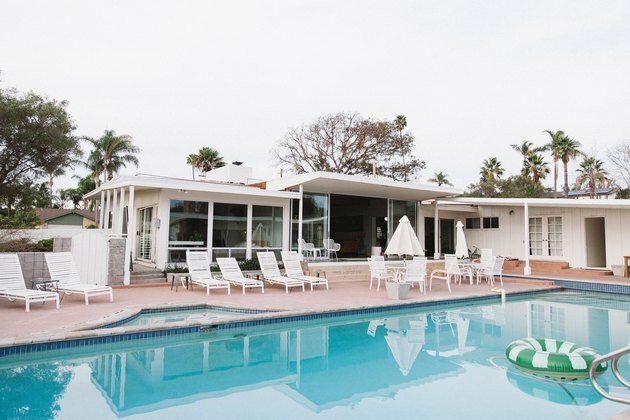 "It's really close to the beach but it also feels a little country and private."